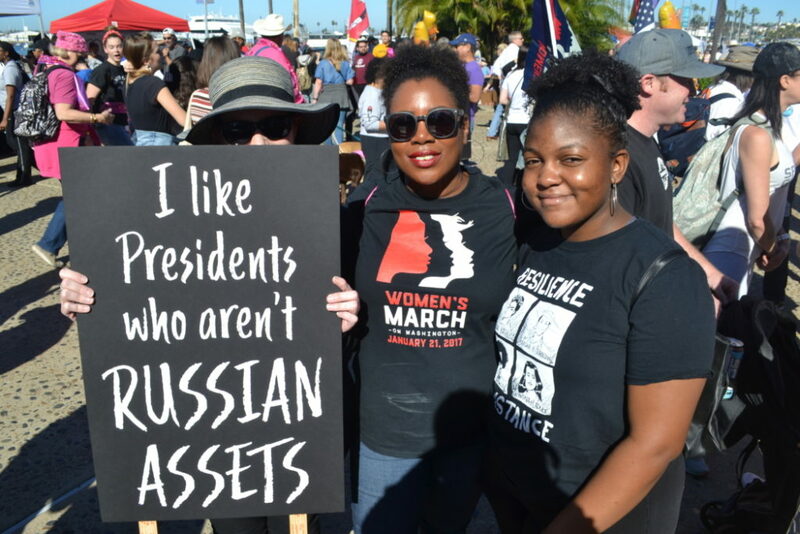 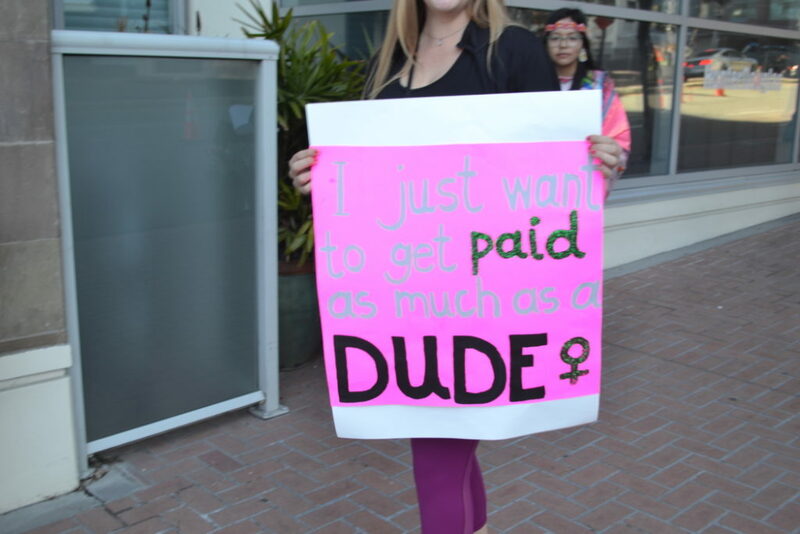 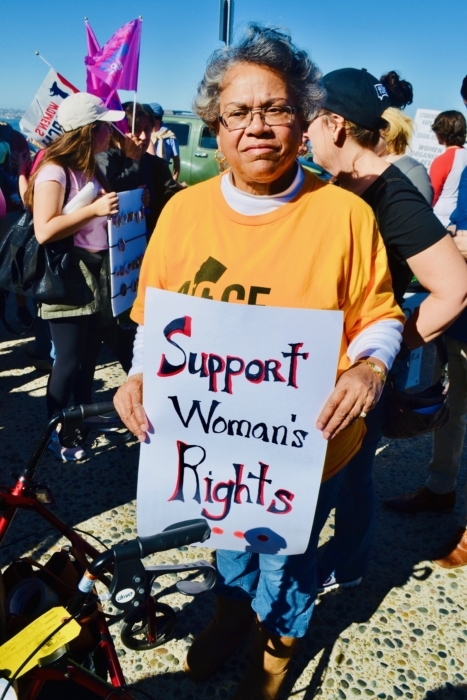 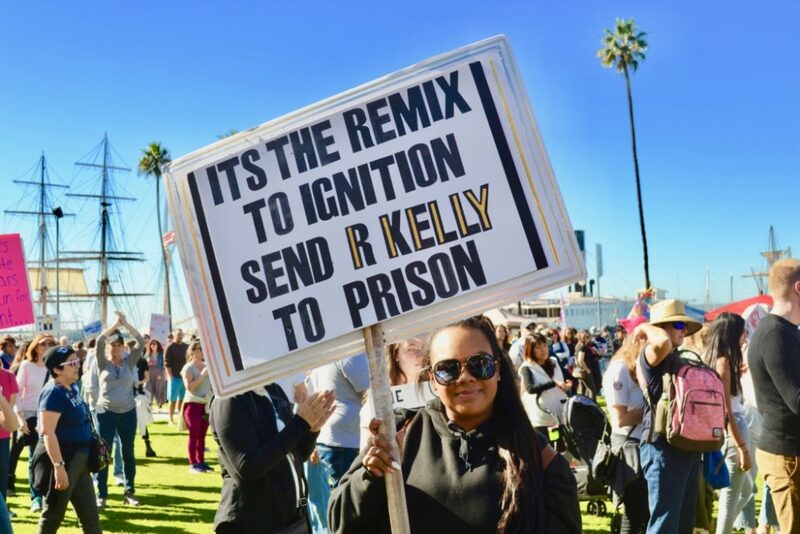 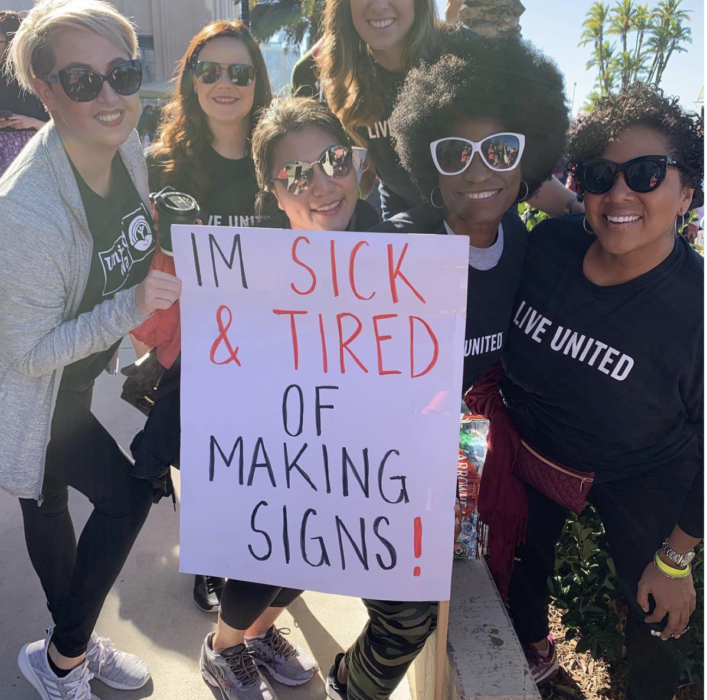 On Saturday, January 19, thousands walked the downtown area holding a variety of signs during the 2019 San Diego’s Women’s March. 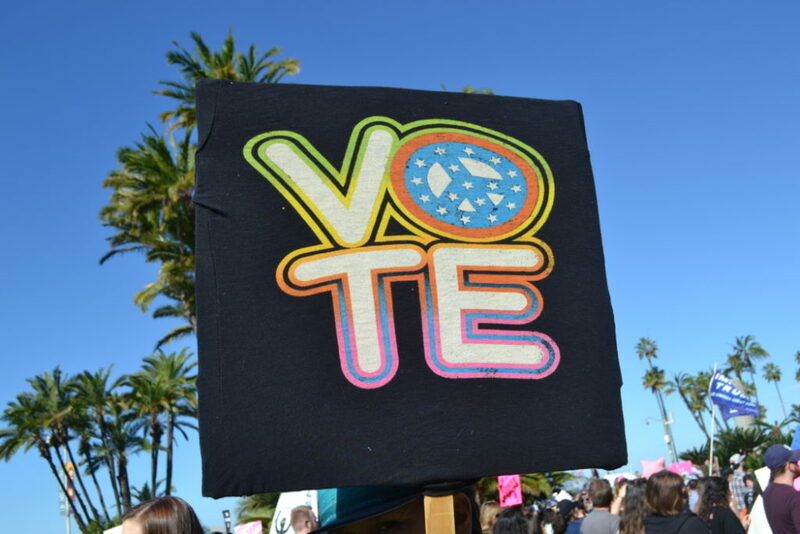 The streets and surrounding area of San Diego’s waterfront were filled with a diverse crowd of people kicked off about 10 a.m. starting with a prayer from Kumeyayy Elder Virginia Christman, and featured speeches from local leaders including Assemblywoman Lorena Gonzalez, her husband, San Diego County Supervisor Nathan Fletcher, Assemblyman Todd Gloria, San Diego City Councilwoman Monica Montgomery, and Lemon Grove Mayor Racquel Vasquez. 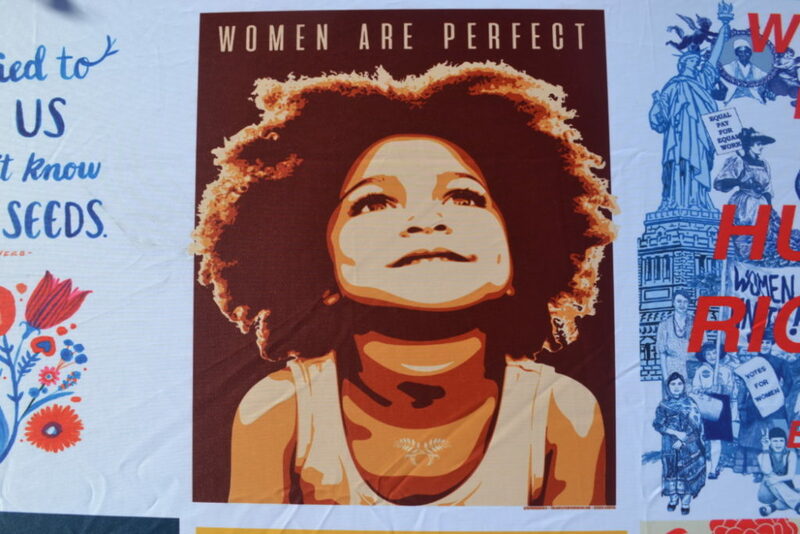 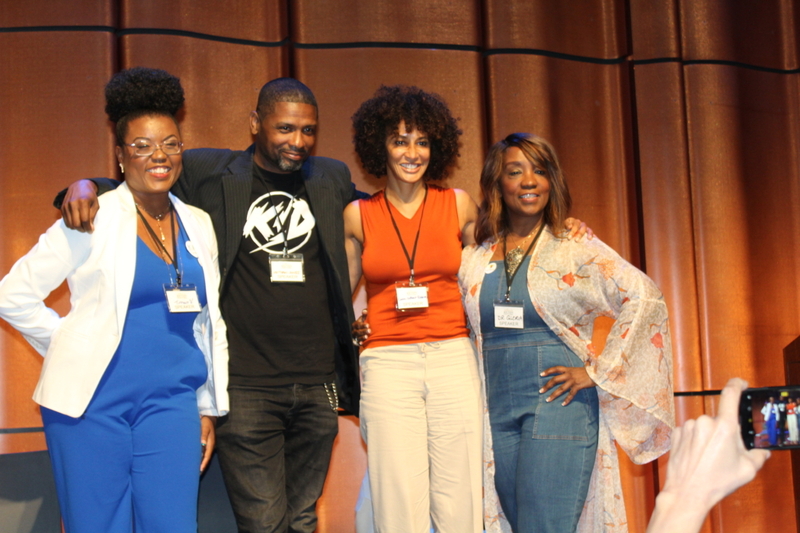 Many of the speakers discussed sexism, racism and human rights. 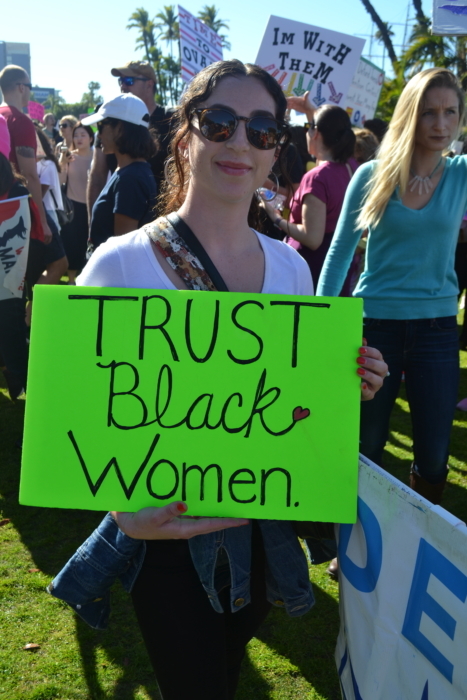 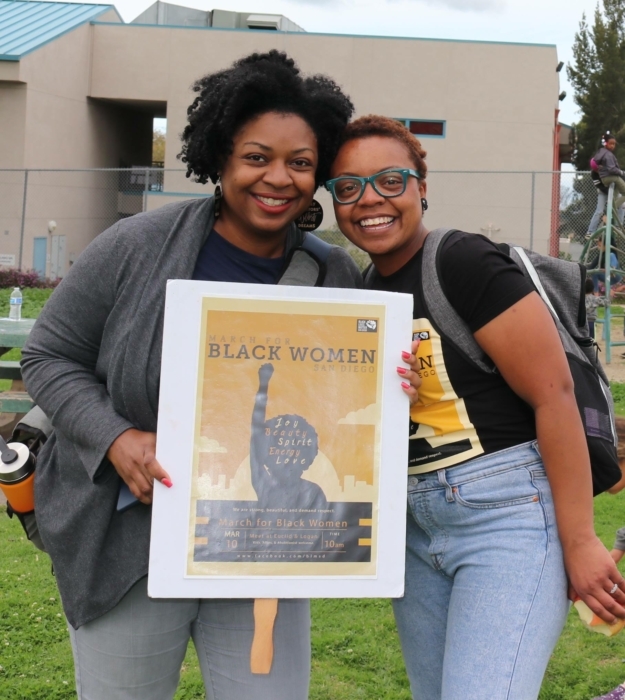 One of the speakers, activist Tasha Williamson, announced her candidacy for San Diego mayor in 2020 at the march. 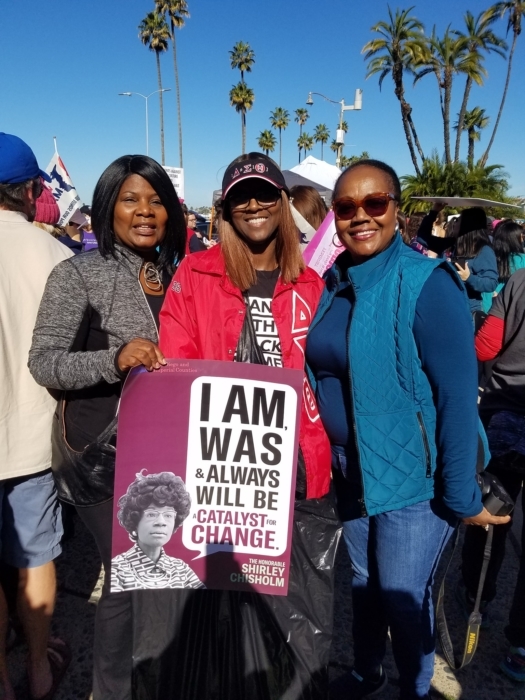 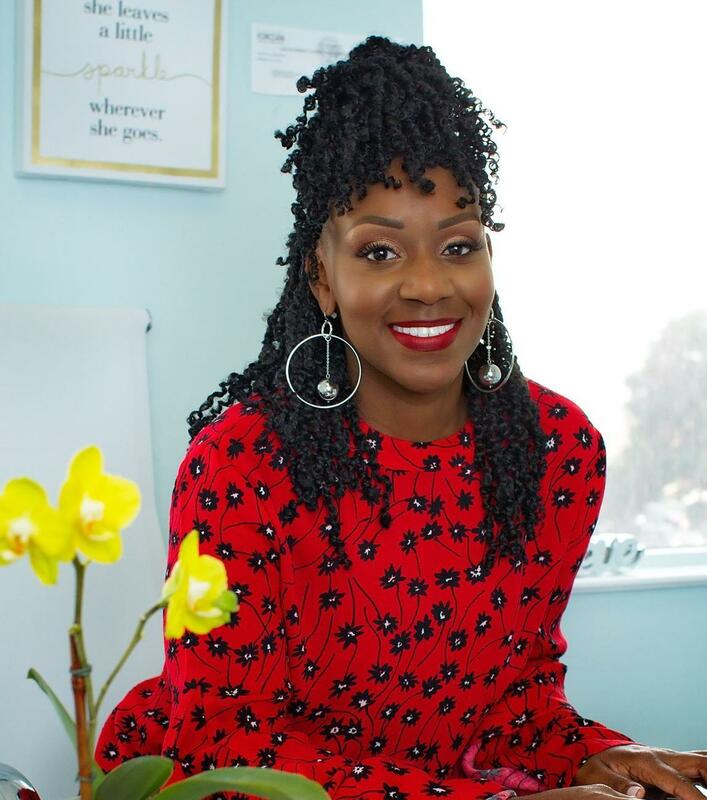 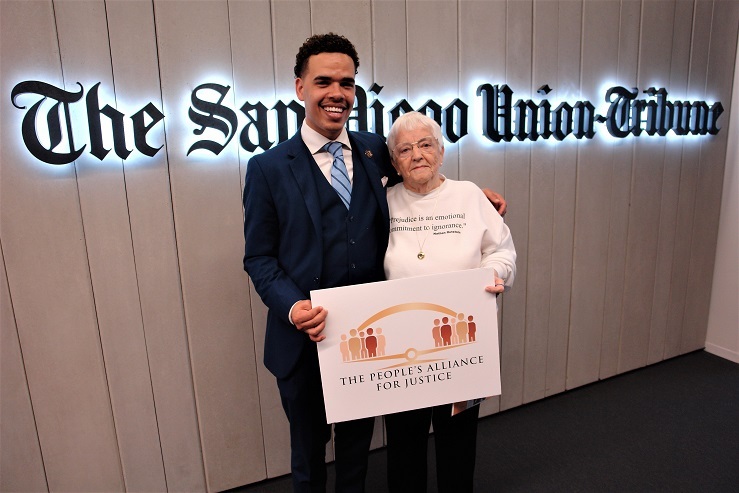 Williamson is known for protesting the police shootings of people of color in the San Diego area, including Alfred Olango in El Cajon and Earl McNeil in National City. 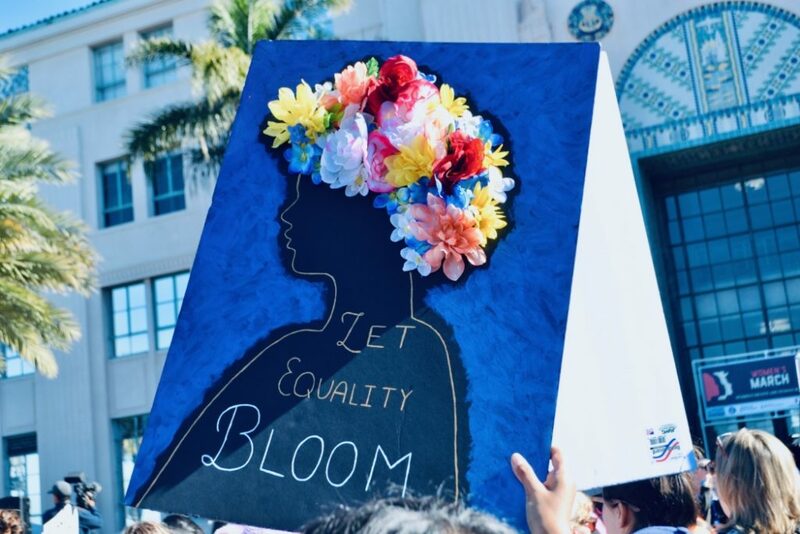 San Diego police estimated there were some 20,000 people in the crowd, according to Lt. Manny Del Toro, but it seemed less than the previous marches. 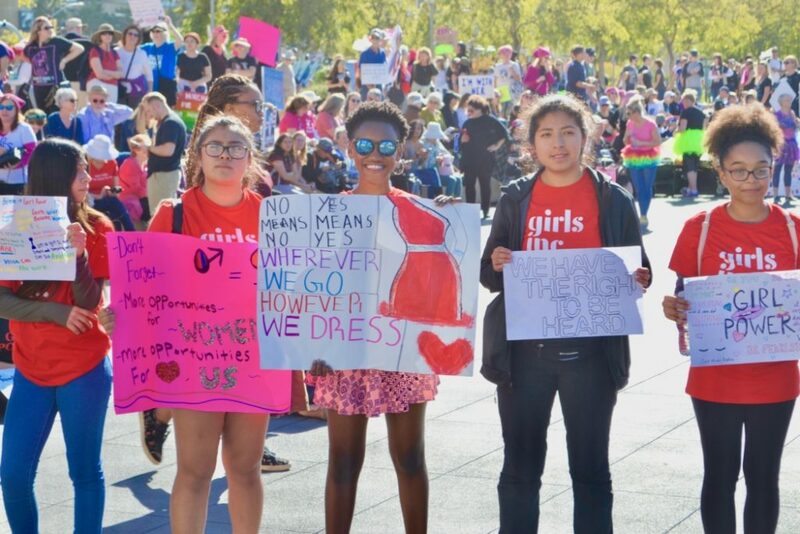 Young women of the non-profit organization Girls Inc., holding signs.